Ihwa Mural Village represents a different twist on gentrification. 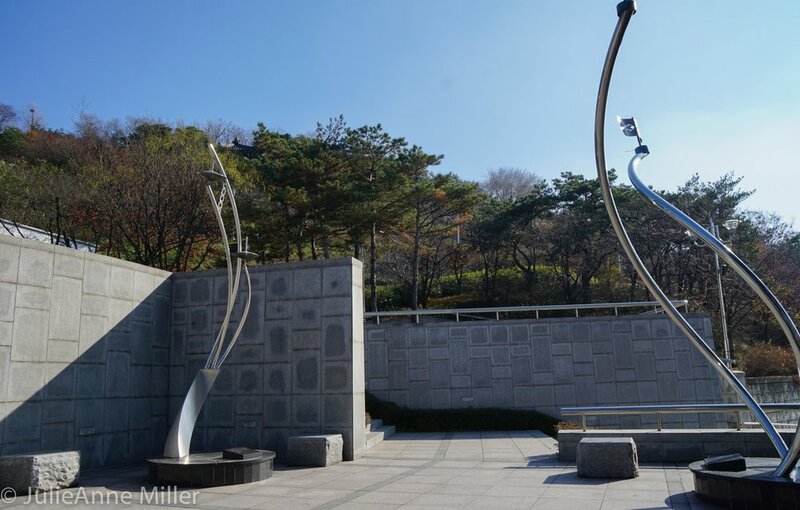 Rather than tearing down a decaying slum, Korea's Ministry of Culture, Sports, and Tourism initiated a revitalization program focused on art. 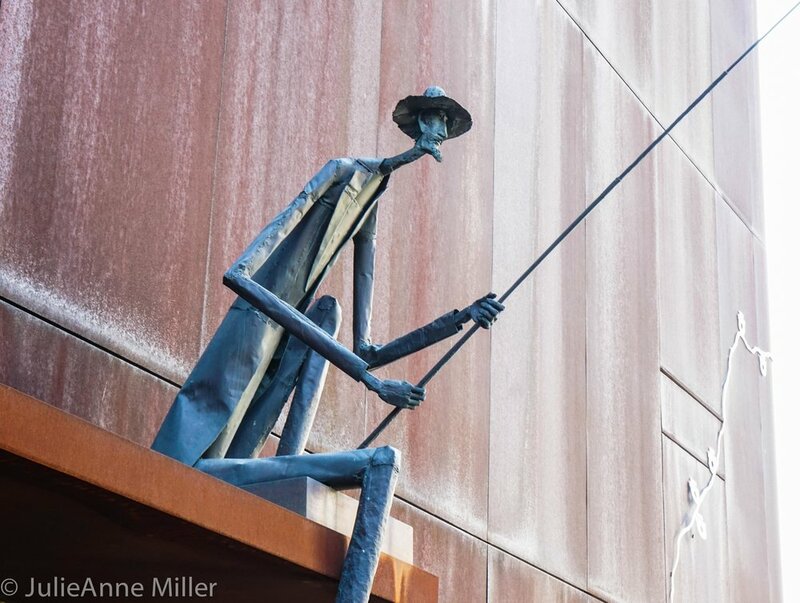 In 2006, local art professors and students were invited to transform the cold, grey stone sidewalks, stairs, alleyways, and buildings into colorful, lively murals. 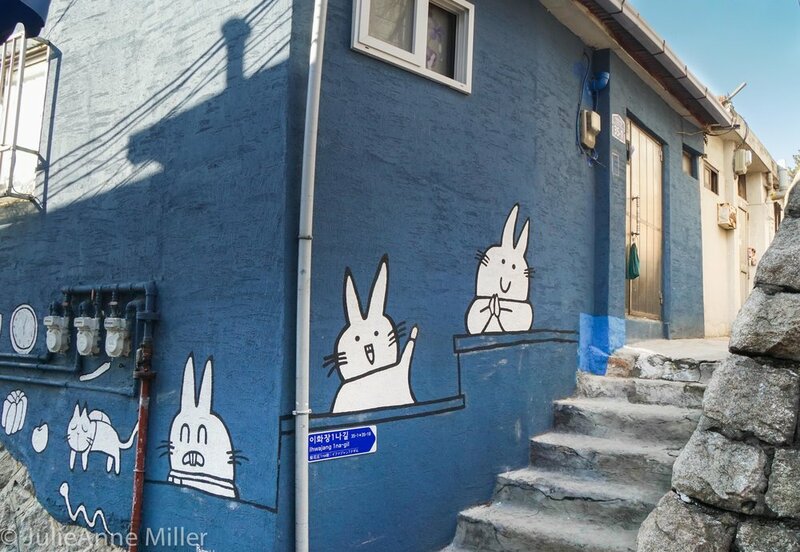 I wrote about the other "Art in the City" project in Gacheon Village, in Namhae outside of Busan. Both of these projects were intended to lift the spirits of the elderly and poor in these neighborhoods and draw tourists to support the micro-economy of this neighborhoods. The program certainly succeeded in drawing visitors! Scores of local and international tourists exit the subway at Hyehwa station and follow the signs to the village, cameras ready for an afternoon of posing and smiling selfies. Wandering the narrow alleyways, it's easy to get "lost" a bit, but enjoy the element of continual surprise as you discover quirky art high, low, and around the bend. But be sure to respect the people who live in the neighborhood. With the sudden influx of visitors, the neighborhood has dealt with an increase in noise and trash pollution. Show the villagers you appreciate their neighborhood by patronizing their businesses, properly disposing waste, and leaving after sunset. Ihwa Mural Art Village is at the base of Naksan Park. 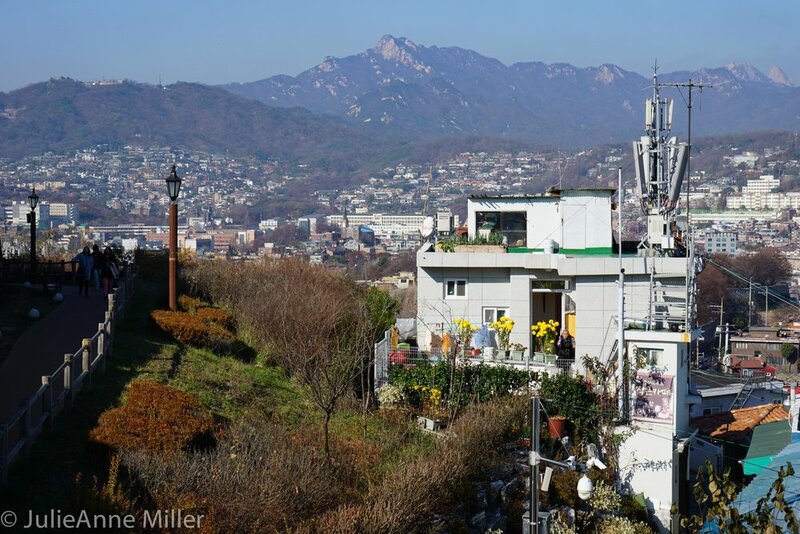 For spectacular views of the city and Bukhan Mountain, follow Naksan-gil road, which takes you to the park entrance. From there, paved walking paths and hiking trails lead you past tennis courts, a fitness area, and a performance pavilion. 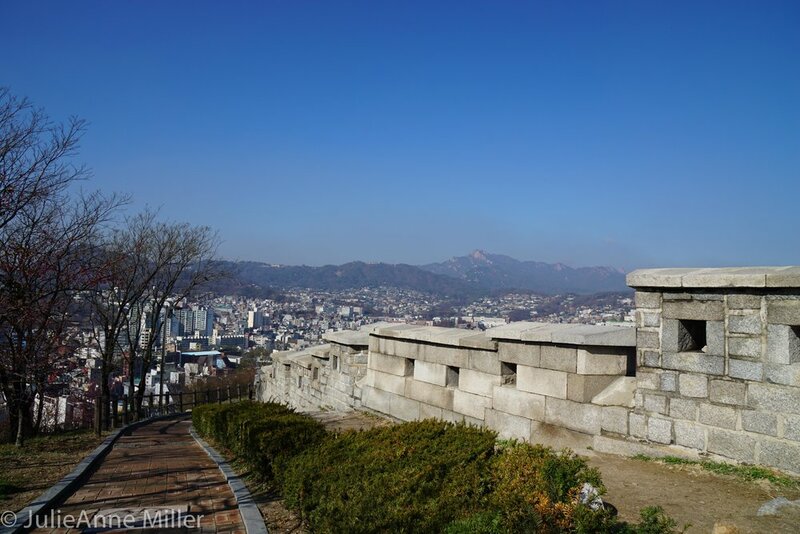 An ancient fortress wall guides you to the summit of this small little mountain in the middle of Seoul. Recognize that colorful little white house with the pretty flower garden sitting just down below the fortress wall? (Hint: watch Korean comedy The Rooftop Prince).